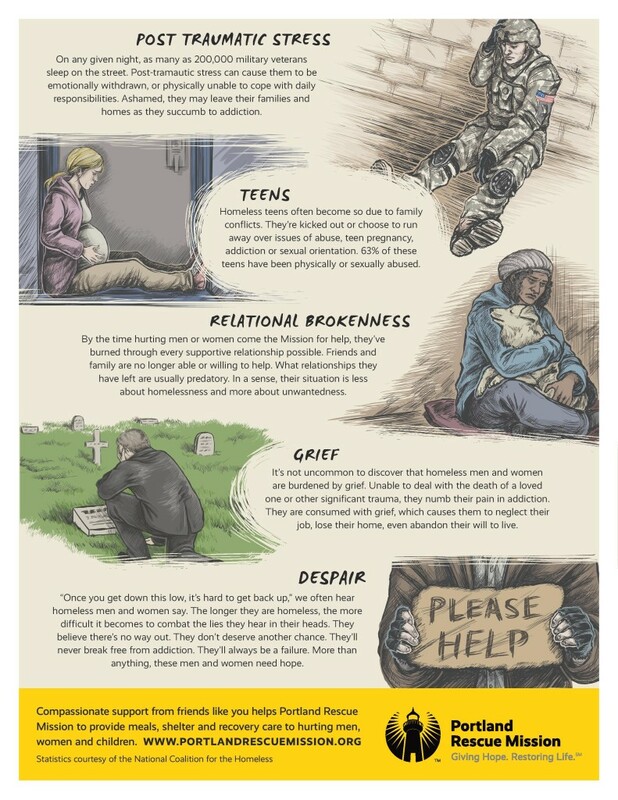 Why are people homeless? The causes can vary widely, but the heartache in each person’s story is the same. Painful life circumstances, and sometimes poor choices, leave people to isolation and despair. 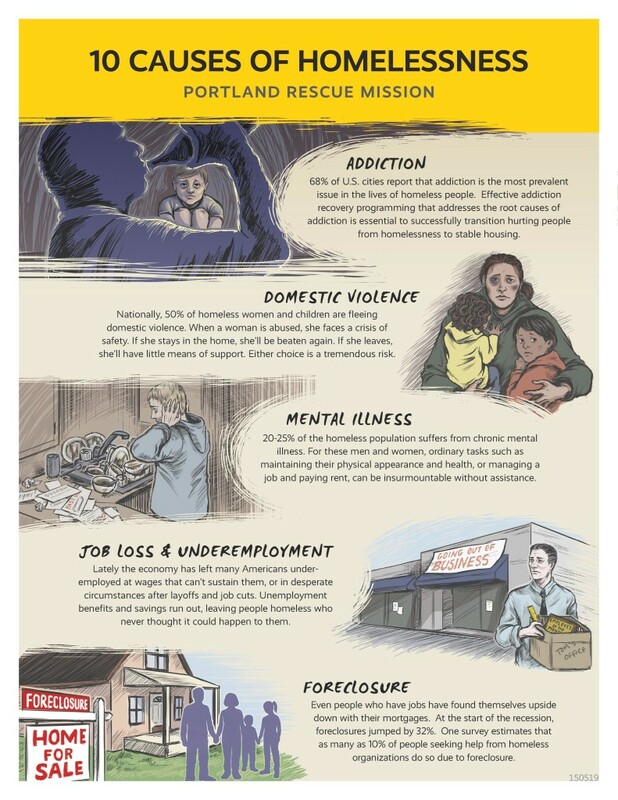 Your support of Portland Rescue Mission offers a way back home. You break down isolation with genuine caring relationship. You end despair by meeting urgent needs like food, shelter, showers, restrooms and clothing. You restore broken lives through addiction counseling, life skills training and reconnection with God. Thank you!